Building, termite & electrical report for $495. Delivered same day! We inspect Sydney wide. 6 days. Do not inspect without thermal imaging! Wayne was punctual, polite, and neat and tidy. Very professional. He answered our questions and provided a great inspection report that we passed on to our solicitor. Would highly recommend him to anyone looking to have their future home inspected. Happy with the service provided by Wayne @ Inner West Property Inspections. The property inspected is all the way on the Central Coast and still it was done promptly! Wayne was fantastic. Not only did he perform a very thorough inspection, but the turn around time was incredibly fast. He is an absolute professional, and offers a first class service! Wayne provides an excellent service. He explains any issues in terms that the clients can easily understand and offers real world advice on how to go about any repairs or rectification works required. The ultimate professional in his field, and a really nice bloke too! Thank you, Wayne, for your A1 service. Your professionalism and promptness was very much appreciated. I wanted an inspection ASAP and Inner West Property Inspections delivered! Great service, price and fast. Professional, intelligent and thoughtful service - an honest opinion at a time when you need someone you can really trust. Wayne was very professional and produced a thorough building report in a timely manner. I would highly recommend him. I would highly recommend Inner West Property Inspections. I found Wayne to be friendly, professional and reliable. He was available at short notice and was thorough in explaining every detail. Professional and knowledgeable. Care about their clients and take the time to ensure clients have a full understanding of matters. Diligent and great attention to detail. Delightful to deal with. As a property investor i need a really good building inspector on my side as investing is a numbers game, i cant make mistakes. Wayne is one of the best. His knowledge of inner west Sydney properties is amazing. I just had my home inspected by Inner West Property Inspections this week and the peace of mind is worth every cent. I am buying an older inner west home and Wayne was skilled, patient and thorough. I highly recommend this service. Wayne from Inner West Property Inspections completed the job. He was prompt, turned up on time and send me the reports needed. Inner West Property Inspections were very prompt, efficient and professional for our dilapidation report in Glebe. Wayne at Inner West Property Inspections is friendly, courteous and thorough. He is also very informative & I would definitely recommend him for your property inspection service. Thank you so much for the thorough inspection you did for us. Inner West Property Inspections was neat and fast with getting everything done. It was all so easy. Thanks again. Inner West Property Inspections inspected a house I was looking to purchase in Marrickville. Wayne showed up on short notice as the auction was in 2 days. He provided a great, detailed report and called the next day to clarify something. Top level service and knowledge! You’re buying a property in Sydney and you’re not sure of its condition? It’s a huge amount of money and you don’t want to make a mistake. What to do? Get a Sydney building and pest inspection of course. Now that’s settled, how do you find a good building inspection business in Sydney? You fire up Google, look at the building inspection websites, they all look the same. Same pricing, same services, same promises. Same Same! Well not Inner West Property Inspections. We pride ourselves on customer service and value and we like to do things differently. Have a look at the following and if the other inspectors’ websites can offer what we can, feel free to use them. Free same day report delivery. Get your building report same day (if we inspect before 12 noon). Some inspectors charge for fast delivery of reports. We include it in our industry best service. Free thermal imaging photography available at no extra cost. (*if required). Free high res picture file sent to your inbox with the building report. +$50 licenced electrical inspection in your building and pest report. Only $50. 24 years experience as a contractor in the building industry. Wayne – the owner – is a long time property investor and home renovator. Easy to read, balanced and comprehensive colour reports. So…If you can find an inspection company with all the above, please use them. If not you can call Wayne on 0418 408 766 or book your inspection HERE. How to save thousands of dollars on your Sydney property purchase using your building inspection and report. Property buyers consider the cost of a building and termite inspection another necessary cost to purchasing a property. As it is. It is kind of an insurance policy with a once off premium, the cost of the inspection and report. Usually between $400-$500. What can you do with a pre purchase building report? There are 3 options for you. Option 1: Consider the house has too many issues and walk away to look for another one. Option 3: Use the building report as a negotiation tool. And a powerful one. This article is about option 3. Firstly I need to mention that negotiating on a property is a largely a consideration of the state of the market in your area at the time you’re buying. EG: If the vendor has 4 other offers on his table he is not going to be very open to negotiate with you. Conversely if he has none and the market is a bit slow, he may listen to you and play the negotiation game. Regardless its always worth trying. I know from experience most people just lose it at the word “termites” but there’s no need to. But you will need some expert advice. The fact is these crafty little insects could be your ticket to saving thousands of dollars. 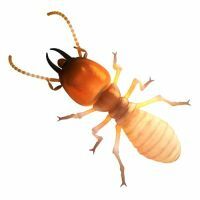 If termite activity is uncovered most vendors already know they are present. Either they are going to have to pay for termite treatment and repairs so the property can sell or the buyer will. Ask the agent or vendor to supply a specialised report outlining the extent of termites and the damage they have caused and then start negotiating. Hard. If the damage is minor and not structural you can live with it for now and get a specialised termite inspection and treatment to completely eradicate them. Additionally if you're planning on major renovations or a knock down and rebuild, the presence of termites become less crucial (the vendor doesn't know what your plans are for the property) so negotiate hard. If a building report identifies water damage to the property caused by a leaking pipe, roof leak, rising or lateral damp or other, you may be able to negotiate a reduction in price in line with the cost of rectification….and then some. If you're really keen on the property get a couple of quotes to rectify the damage and the cause and then use that to negotiate, plus a dollar buffer for your inconvenience. 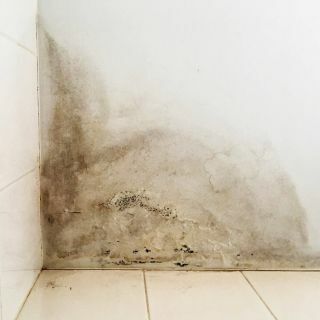 There are many causes of water damage and they all need repair so use this to your advantage. We all know the number of bedrooms influences its value greatly. The tip here is to ensure that what is called a bedroom legally constitutes a “bedroom”. There are regulations around room size, ceiling height, windows, ventilation etc as to what constitutes a bedroom and we all know real estate agents can get creative in this area. 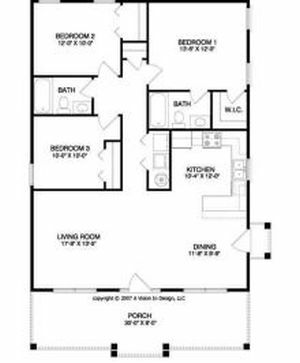 So if you have doubts that a property being marketed as a 3 bedroom is really a 2 bedroom home or a 4 bedroom house is really a 3 bedroom, do some research and come back with your info and use it to negotiate. This info may or may not arise in the building report as a building inspection focuses more on defects than compliance issues but if you have doubt mention it to your building inspector, you may have come up with a great negotiating tool and a way to save a lot of money. Issues with the structure and safety of a dwelling is an excellent way to negotiate thousands of dollars off the asking price. Problems like broken or leaning piers, rusted roofs and unauthorised renovations are not cheap to repair and can lead to legal issues, so if these are identified in your building report you’ll have a great place to start negotiating. Similarly pool fence compliance, retaining walls, first floor window compliance, safety of verandas and balconies, including stairs and railings, all need to be compliant. Negotiate the cost to rectify these items and you could end up with some new renovations and save yourself money. The word asbestos with termites is another word buyers get emotional with, and I a negative way. But it doesn’t need to be the case. 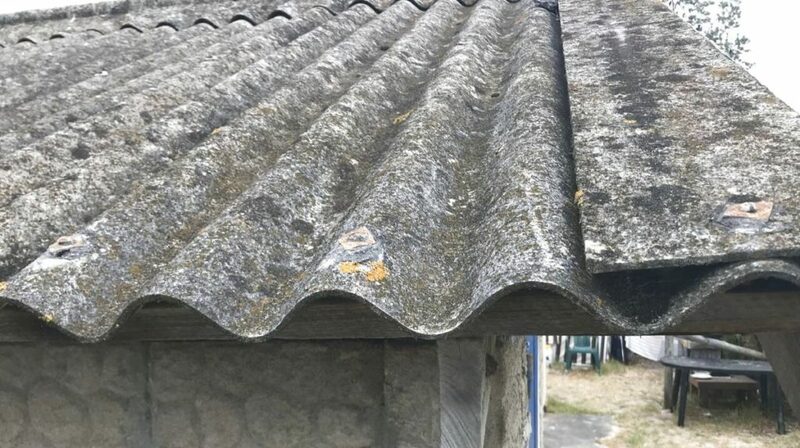 Many homes built prior to 1987 contain asbestos in some shape or form. It can be found in wet area sheeting, exterior sheeting, eves and soffits, carpet underlay, the dreaded Mr Fluffy roof insulation, even linoleum. It is generally safe as long as it isn’t interfered with as in broken, cut, drilled etc….anything that can release the fibres. And most of it is painted. But it can be a possible negotiating tool as the word engenders such emotion. It is often not included in a general building and termite inspection and may need to be an added specialist inspection but if its is discovered and you think it may be an issue but you’re still interested in the property go here www.asbestossafety.gov.au to check your options. Then get a quote or two for removal and reinstatement with modern material and use this to negotiate with the vendor. So there you have it. Instead of walking away from a property you may be interested in you can at least use the building report attempt to negotiate a substantial discount. If the vendor doesn’t want to play ball and you’re prepared to let it go, then walk away. Lets talk about the top three questions to ask your home inspector for a building inspection in Sydney. Question number one: What is the biggest safety issue that you saw during the inspection, if any? That should be your top priority and it is addressed in the report. The safety issue might be as small as a missing RCD (safety switch) or it might be something as large as structure damage or a trip hazard in the backyard. The first question you need to ask is, are there any and what is the biggest safety concern? Question number two is, what is the biggest cost issue that you see? This one can be a little bit tricky because the home inspector might not know the exact cost for remediation but they are certainly going to know the most significant item they see during the inspection. If you’re buying a house or a townhouse. You might have something like 10 - 20 minor items appear on the report. They could range in value from $20 up to maybe $5,000 or more. What I tell people is to mostly focus on the major items. Only focus on the big ticket items. Items that are costly. Don’t worry about things that are $100 or $250, every single house has those. Focus on the things that are going to cost thousands of dollars. These are the things that you will make you decide to walk away from the property or possibly use in negotiation with the vendor. And finally, the third thing to ask your home inspector is, if you were purchasing this house, what would be your top priority? Would you buy it? Depending on how you word this question the inspector may not be inclined to answer. They may want to kind of excuse themselves and not get in the way of your decision to purchase. But if you word it correctly, most inspectors can answer. And I think the goal of that question is to take them out of their home inspector shoes and put them into a purchasers shoes. A purchaser mindset, change the framework. I think that would give a little bit of an insight to see what sort of issues are important. And what sort of issues were kind of just put on the report to show that they were just doing their job. If your house is perfect and there’s nothing wrong with it, the home inspector is still going to find things wrong that will need to be fixed because they need to do their job and show that they are doing something for their $400-$500. Because if they give you a building report that is empty, that shows everything is great. No house is 100% perfect, not even a new one! If there is nothing on the report - not one defect - you’re going to think that you wasted $500. So even if you’re house is perfect (or close to), they’re still going to find issues that are wrong with it so there so something on the report. But no house has zero defects. Not one. So I think those are the top three questions that you need to be asking your home inspector. Safety, monetary value, and then the third question is if i was looking at the Sydney property - the one you're getting inspected - would i buy it?. The answer is always "yes, at the right price"..... i would buy ANY property at the right price but that's a whole different discussion.